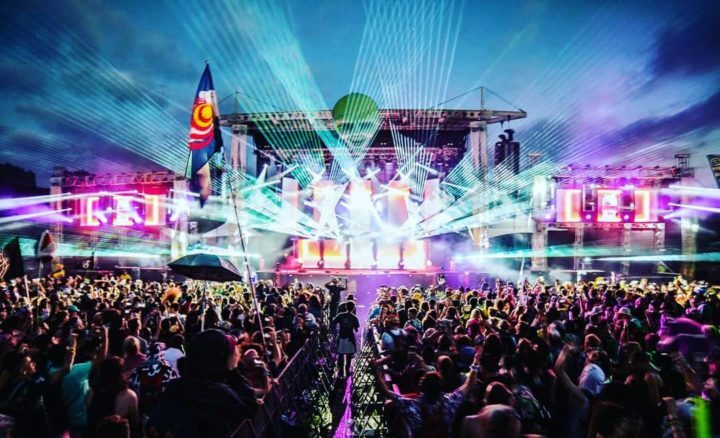 Dancefestopia organizers today revealed the full lineup for the 2019 festival, set for Sept. 5-8 near Kansas City, Mo. 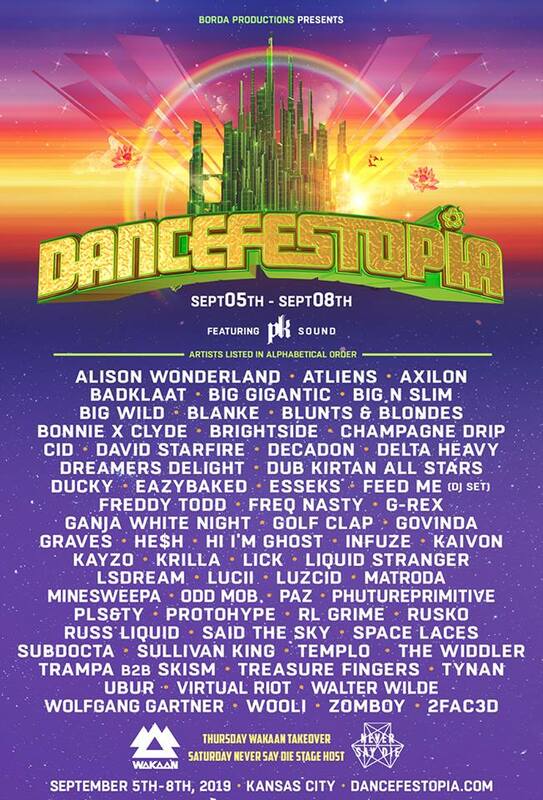 Artists topping the list are Alison Wonderland, Big Gigantic, Big Wild, Feed Me, Ganja White Night, Kayzo, Liquid Stranger, RL Grime, Ruski, Said the Sky, Trampa b2b Skism, Wolfgang Gartner, Zomboy, and more (see full lineup graphic below). Dancefestopia tickets and camping packages are on sale now, starting at $169 for a three-day general admission pass. After being held in Kansas City since the event’s inception, last year the event moved to the Wildwood Outdoor Education Center in nearby La Cygne, Kans. Giveaway: Tickets to Ana Sia in Lawrence, Kan.